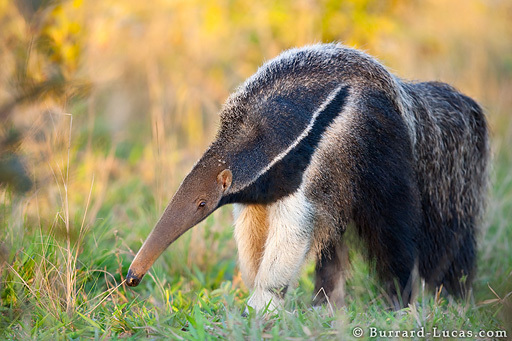 Giant anteaters are bizarre creatures that inhabit the grassland and dense rainforest regions of South America. They have two-foot long tongues which they can flick in and out up to 150 times a minute! The main difficulty in photographing anteaters is getting close enough without alerting them to your presence. Anteaters have poor eyesight but a very keen sense of smell and hearing. To approach them, we had to stay downwind and remain as quiet as possible.